In JW Spear & Sons Ltd v Zynga Inc ( EWHC 3348 (Ch)) the Chancery Division of the High Court of England and Wales found that Zynga Inc’s use of the words ‘Scramble With Friends’ for a mobile app game did not infringe Mattel’s SCRABBLE marks. On November 25 2013 a study entitled “European Citizens and Intellectual Property: Perception, Awareness and Behaviour”, prepared by the European Observatory, was officially presented at the European Parliament. The study provides a comprehensive assessment of EU citizens’ perceptions of intellectual property and its infringements, from both a qualitative and quantitative point of view. The sunrise periods for a number of new generic toplevel domains (gTLDs) have officially opened. In Starbucks (HK) Limited v British Sky Broadcasting Group Plc ( EWCA Civ 1465) the Court of Appeal of England and Wales upheld a High Court decision finding that the CTM NOW, owned by Starbucks (HK) Limited – a Hong Kongbased media group unrelated to the coffee shop chain – was invalid, and that Starbuckshad no goodwill in the United Kingdom that would give it the right to prevent BSkyB from using the name NOW TV in relation to its internet protocol television service. Burberry, the United Kingdom’s largest luxury goods manufacturer, has appealed a decision of the Trademark Office of the People’s Republic of China to revoke the trademark for its iconic tartan, known as the ‘Haymarket Check’. The decision, which relates to leather goods only, will not take effect before the appeal is heard. In Environmental Manufacturing LLP v Office for Harmonisation in the Internal Market (OHIM) (Case C-383/12 P), the European Court of Justice (ECJ) set aside a decision of the General Court on the grounds that the latter had dismissed the assessment of the risk of dilution set out in Intel (Case C-252/07). What can trademark coexistence agreements learn from patent settlements? Branding in the pharmaceutical industry has its challenges. Restrictions on advertising and promotion are an obvious impediment to the building of brand recognition. Purchase decisions are influenced not only by consumers, but also by prescribing doctors and pharmacists. Further, in order to take advantage of the limited patent protection period, product managers often choose a trademark or brand name that is influenced, to a large extent, by the principal ingredient in the drug or the ailment that it is intended to treat. The objective is to create better brand recall so that doctors, pharmacists and patients can easily associate the mark or name with the product’s principal component or ingredient or the ailment which it is intended to treat, thus making it an easier sell. 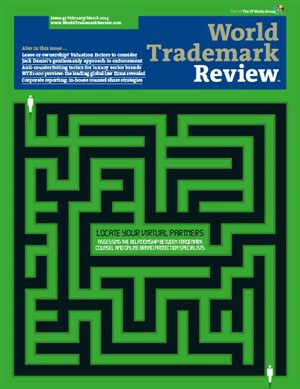 The Turkish Patent Institute is the only authority that can grant registration of trademarks in Turkey. However, no medicinal product can be marketed without authorisation from the Ministry of Health. Contrary to applicable practice in other countries such as the United States, Article 87 of the Mexican Industrial Property Law establishes that in Mexico, the right to obtain exclusive use of a mark is obtained through registration and not through use or priority adoption. Therefore, it is necessary to file an application before the Mexican Trademark Office (MTO), part of the Mexican Institute of Industrial Property (IMPI), complying with the requirements established by Article 113 of the law. UK trademarks are regulated under the Trademarks Act 1994. Further guidance and regulation for pharmaceutical products are provided by the Medicines and Healthcare Products Regulatory Agency (MHRA), while the European regulator is the European Medicines Agency. This article highlights some considerations relating to trademark usage standards, clearance and prosecution that pharmaceutical firms and their advisers should bear in mind during the drug branding process in the United States. According to information available from the Federal Ministry of Economics and Technology website, for many years the Germany pharmaceutical industry has played a significant role on the world stage. In 2011 898 companies were registered as pharmaceutical companies in Germany, of which 269 had more than 20 employees. That same year, revenues amounted to €39.2 billion – an increase of 4.5% on the previous year. The country’s pharmaceutical industry employed 105,400 staff in 2011 and exported pharmaceuticals with a total value of €50.4 billion. In sales terms, Germany is the world’s third largest pharmaceutical market. The Supreme Administrative Court of Finland has issued a groundbreaking decision regarding the protection of wellknown house marks in the pharmaceuticals industry. The decision in question concerned a trademark registration dispute between Finnish pharmaceuticals company Orion Oyj (parallel trade name Orion Corporation) and Orion Corporation, a South Korean confectionery company. The third amendment to the Trademark Law, which will take effect on May 1 2014, has brought about changes to both the procedural and substantive aspects of trademark practice in China, and some may influence the protection of pharmaceutical marks. Since the law has not yet come into effect, the cases cited here were all decided under the law before its amendment, but this article also discusses potential expected changes to similar cases in future. In Canada, the selection of a brand name for a prescription drug must be assessed bearing in mind both regulatory issues handled by Health Canada and trademark registration issues pursuant to the Trademarks Act. If a product name is approved by Health Canada, it does not necessarily follow that the name will be registrable as a trademark; and similarly, if a name is found to be registrable as a trademark, this does not mean that the name will be accepted by Health Canada. Health Canada considers the issue of drug name confusion from a health and safety perspective. By contrast, the selection of a trademark under the Trademarks Act focuses on the likelihood of confusion as to the source of manufacture of the products.